This program will help anyone looking to break the logic of “we’ve always done it this way,” and look to create change positively, allowing staff/colleagues to buy into the new. In November 2018, the South Huntington Public Library suffered an attack on its computer network. How can we better defend our organizations against an intrusion, and what preparations can be made in case one occurs? We’ll share what happened, how we responded, and what we gained from the experience. Learn how to design, plan, and implement large scale and “life size” programming for children and teens. Explore library programs such as library mini golf, life-size games, zombie take-overs, and themed parties. Get tips for strategic planning and get advice on how to make large scale events work for your library! As the archives profession becomes more competitive, it is critical that the internship for graduate-level academic credit is practical for future responsibilities. A carefully planned internship will guide a student who has yet to decide their direction in the field. This requires being paired with the best possible location from which to learn. Collaboration during the interview process is essential in determining the right fit for both intern and organization. This discussion seeks to advise students and young professionals to become advocates for their professional education, and for future supervisors to be prepared for this great responsibility. Unruly Patrons? You Be the Judge! A review of policies, trends, and practical suggestions on how to effectively deal with challenging library patrons. One medium that bridges the gap between the traditional book market and new forms of technology is the audiobook. A really fantastic narrator can breathe life into the characters and bring the listening experience of an audiobook to new heights. Join award winning artist and audiobook narrator Michael Crouch as he shares his experience and as an actor specializing in voiceover. His audiobook narration has earned two Audie Awards, multiple Earphones Awards, and Best of the Year listings from Booklist, School Library Journal, Publishers Weekly, and AudioFile. Aging patrons almost universally want to stay in their own homes, so how can libraries successfully support aging in place? 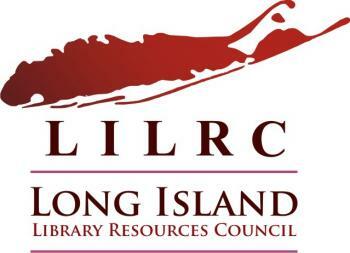 Topics will include the graying of Long Island, who is the aging patron, what is aging in place, the library’s role with aging patrons. Programming topics will be explored on implementing universal design at home, how library tech training for seniors supports independent living, and identifying community services and programs for aging at home. In an ever-changing profession, Academic librarians are faced with the challenging task of maintaining student engagement while moving forward with the mission statements of their libraries. In order to maintain a healthy student population, outreach has become an increasingly important issue. Librarians in academia now more than ever before have been utilizing the programing and outreach methods used in the public libraries. This session is intended to give a few pointers on how public library outreach strategies are used to benefit the academic library. The Queens Library takes pride in its role as a community center that connects and bridges the divisiveness in the country. During these challenging times, we launched “Queens Library is for Everyone” and “It’s Time for Kind” campaigns to light the way for the community to treasure kindness, compassion and inclusiveness. Cathy Chen, Assistant Director of New American Program, will talk about programs that her department undertook to support immigrant communities during these difficult times. Hong Yao, Director of Technical Services, will showcase initiatives that her department spearheaded in support of the community and the branch libraries. Library workers exposed to inappropriate speech or conduct by members of the public might wonder if what they have experienced is “actual” harassment or “harmless” unwanted, miscommunicated conversation – how can they assess these situations and effectively respond? Where is the line between patron-centered service and personal assertiveness, comfort, and safety? How can we firmly establish a culture of civility in our public spaces for everyone? This presentation will include research into these issues, the results of a statewide survey, and practical tips. Podcasting is a fun way to educate and inform, but it can also be very daunting, especially for beginners who may not know enough about what equipment is necessary, or how web hosting works. This program will not only walk you through the entire podcasting process, from inception to recording and posting, but will also suggest very affordable and easy-to-use equipment that won’t break the bank! Social Media and the Death of Privacy: Is the Battle Over? Speaker(s): Jeffrey Feinsilver, NY Institute of Technology; Chris Jelley, Head of Technology, North Merrick Public Library; Kevin McCoy, Webmaster & Systems Librarian, Suffolk County Community College; John Whittemore, President, Gryphon Technologies, Inc. The widespread use of social media by Russia to interfere in the US Presidential election has triggered major alarm and Congressional hearings. Not only have Facebook and other social media firms failed to adequately deal with false and inciting information posted on their services, but they have violated the privacy of their users and shared data files with other companies for financial gain. Should social media firms be carefully regulated by the federal government? Do we need a complete rethinking and revision of the process by which users opt in to social media? What do you think? Speaker: Dave Roman, artist and author of Astronaut Academy and several other graphic novels. Sponsored by: NCLA Pop Culture Committee. There’s a long tradition of reading books out loud to a captive audience. Reader’s Theater takes that idea to another level by letting multiple readers (or even the audience) get in on the fun, performing various roles. Celebrated graphic novel artist and author Dave Roman will lead the audience through this unique workshop where graphic novels become the script and librarians the players! Looking for a way to freshen up your graphic novel programing? Dave’s program is sure to inspire you. Come act out! This panel will explore how a children’s library in Nassau County and one in Suffolk County have renovated and created new spaces for their users with the assistance of an architect/exhibition designer who specializes in the creation of children’s museums internationally. These two case studies – East Hampton Library’s Children’s Library and Teen Library and Port Washington Public Library’s, Jackie and Harold Spielman Children’s Library – will explore how they identified the needs of their user groups (front-end evaluation; use of renderings; interviews, etc.) and engaged them in the process of design planning and refinement to achieve the final results. New to the world of zines? Come to this workshop and learn what a zine (self-published magazine) is, how your library can start a zine library, the history of zines, and how to make a zine yourself! This workshop will be led by Blue School Librarian Laura Winnick, who is a zine maker and facilitator of zine workshops for educators. Does your library offer a volunteer program for teens? For the majority of these young people, volunteering at the library is their first opportunity to gain real life skills that can open doors for them. In this presentation, we will demonstrate how library volunteer programs for this population are invaluable. We will offer insight into how volunteer programs for teens can impact the trajectory of their future. We will include not only examples of outstanding library volunteer programs throughout the country, but will include feedback from teens who have benefited from volunteering at their library. Virtual reality is often viewed as a tool for video game enthusiasts and entertainment professionals, but its benefits and uses in academia cannot be overlooked. As a resource, virtual reality has provided educators with the ability to expand upon classroom learning while enhancing the student experience. In this presentation, academic librarians will share their experiences and thoughts on how virtual and augmented reality have been utilized at their respective institutions, and how academic librarians can collaborate with faculty to provide tailored instruction. The program will include a discussion on how Virtual Reality can be used in a variety of other libraries. Can chocolate help you lose weight? Is red wine the cure for everything? If it sounds too good to be true, you are probably not getting the whole story. Join health sciences librarians Jessica Koos and Jamie Saragossi as they show you how to uncover the truth behind the latest health headlines. Participants will learn how to determine if a source is reliable and how to investigate claims using reputable online resources. Elizabeth Eulberg, author of numerous middle grade and young adult titles, including Prom & Prejudice and The Lonely Hearts Club, and most recently the middle grade mystery series, The Great Shelby Holmes, will talk about how books influenced her life as a child with a learning disability and illuminated the path to her becoming a reader, writer and eventually a published author. Speaker: Jason Griffey- Jason Griffey is the founder and principal at Evenly Distributed (http://evenlydistributed.net), a technology consulting and creation firm for libraries, museums, education, and other non-profits. Libraries generally have strong statements about patron privacy, but the truth is that data is everywhere, and assessing risk is hard. This presentation will illuminate some of the data collection and risks that librarians may not have considered. There are different risks hiding in data collection and privacy policies for different groups of patrons, and some are far more dangerous than others. We will connect your data collection and retention directly to the risks associated with that data to your teen patrons, recent immigrants, patrons of color, and more, and provide you with strategies to mitigate these risks. As part of a 3-year project, funded by National Archives/NHPRC, a St. John’s University Librarian and St. John’s University graduate students worked with established local and national community partners to curate guides to free resources and to provide ongoing research support for NYC High School teachers and students to research their family histories in light of motivating World History factors that contribute to migration and immigration into New York City. In this presentation, the Project PI and 2 DLIS graduate students will discuss the resources available to all libraries, focusing on family and Oral History resources and plans for expansion of the resource guide. Queer support and visibility is important to an institution’s campus in suburban New York. This requires assessing queer representation on campus first, in order to understand and serve a community. Especially for queer and non binary folks, it is important to build relationships with existing LGBTQIA+ campus clubs and offices of inclusion and diversity. Engaging with these groups, and individual queer/nonbinary folks that do not feel represented creates a conversation that can culminate in the library. In hosting an all day event for National Coming Out Day it engaged and built upon the work/experiences of these other groups.